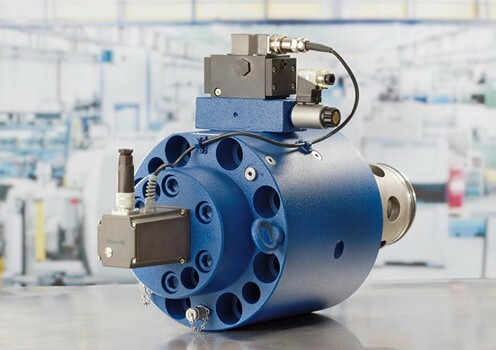 At Bosch Rexroth, we are the global leader in the design and manufacture of hydraulic proportional servo valves for industrial and mobile applications. All Bosch Rexroth valves are designed at the highest development level to ensure that you have the most responsive, reliable and precise flow control for unparalleled repeatability. Bosch Rexroth is the market’s leading industrial hydraulics provider, offering the world’s largest range of high-quality proportional and hydraulic servo valves. Incorporated into applications around the world, Bosch Rexroth state-of-the-art proportional and servo valves have proven their reliability time and time again in literally millions of operational hours. Rexroth’s rugged valves are ideal for automated electrohydraulic control applications, while other intelligent solutions include valves delivering proportional directional control, proportional relief, proportional pressure reduction, proportional flow control, and proportional throttle. 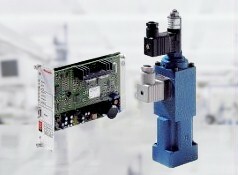 Like all Rexroth’s industrial hydraulics products, many of our proportional and servo hydraulic valves offer you the opportunity to integrate electronics or separate amplifiers. 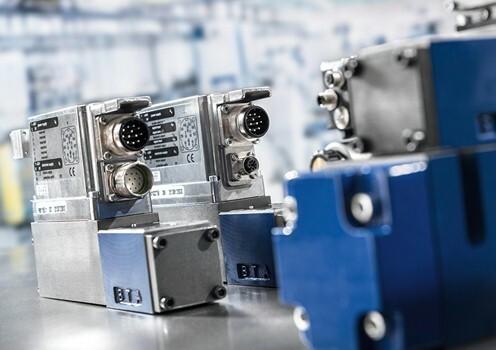 Bosch Rexroth employs highly advanced microelectronics to increase the capability of hydraulic servo and directional valves. Easily integrated into machinery concepts they offer excellent energy efficiency, optimal power and Bosch Rexroth quality. As a leading provider in the field of industrial hydraulics products, Rexroth takes a top position with its components, systems and extensive know-how and expertise regarding applications and engineering, delivering reliable high-pressure valves and high response valves. Partnering with Bosch Rexroth for hydraulic solutions gives you the benefits of highly efficient and reliable machinery and production equipment proven all over the globe, as well as attentive service to meet your needs from initial contact to commissioning and throughout the entire lifecycle. Our operational teams are located all over the world and ready to assume all project planning tasks for your machines and systems until they are ready to start production. We also offer turnkey delivery. 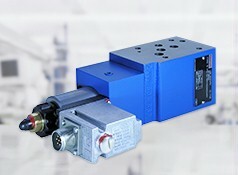 Proportional directional valves are used as directional, pressure and flow control valves. Using integrated electronics, they reduce the cabling effort and simplify handling. 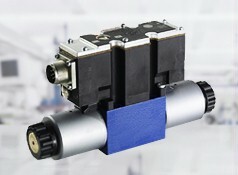 Direct or pilot operated, these valves are ideal for many closed loop applications. 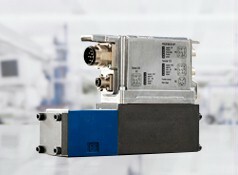 High-response directional valves are compact and robust. They are convincing in their high dynamics and control accuracy with closed-loop control of position, velocity, pressure and force. Find the Hhigh-response directional valve you need to control the start, stop and direction of circuit fluid flow. 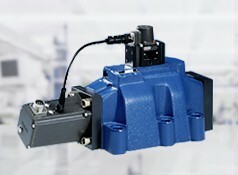 Directional servo valves are hydraulically pilot operated 2-stage or 3-stage directional valves. Because of their high dynamics they are used predominantly for the closed-loop controls of position, force or pressure, and velocity. 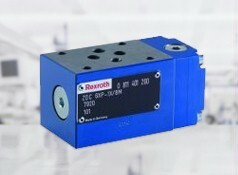 Bosch Rexroth hydraulic servo valves lead in controlling pressure, flow or position. Choose from a wide range of servo valve accessories, including supply pressure compensators and discharge isolator pressure compensators. With Bosch Rexroth Industrial Hydraulics you will always find the right solution.